Karnamaya Mongar was in severe pain, turned gray and went into cardiac arrest during her abortion procedure, according to the woman who administered her medication that day. Lynda Williams is the latest former employee to testify against Dr. Kermit Gosnell in the "House of Horrors" abortion trial. 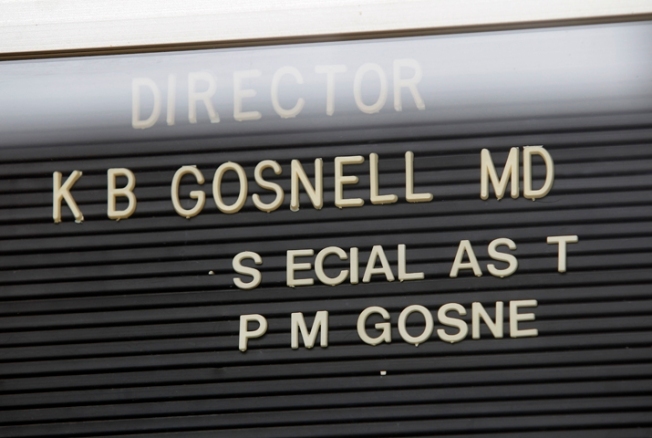 Gosnell is charged with the murder of seven babies at the clinic. He's accused of performing illegal late-term abortions and cutting the spinal cords of babies who were born alive. Gosnell is also charged with Mongar's death. Williams, a soft-spoken, 44-year-old woman, has already pleaded guilty to third degree murder and conspiracy. She told jurors she was being treated by Gosnell for bipolar disorder and had worked at his medical clinic in Wilmington Delaware before starting work in 2008 at his West Philadelphia practice, the Women's Medical Clinic. With an 8th grade education and Phlebotomy Certification for drawing blood, Williams said she trained for a matter of days before she began performing ultrasounds. Her work evolved to administering medication intravenously, or through an IV. Mongar, a 41-year-old immigrant, was 19 weeks pregnant when she came in for her abortion on November 19, 2009. Before the procedure, Williams gave Mongar one pill of Cytotec, a drug used to induce labor. Williams also assisted in administering local anesthesia. When Mongar complained of pain, Williams said she called Gosnell, who told her to administer a second round of local anesthesia. Mongar's pain did not subside, but turned severe, according to Williams. She testified that she was afraid to call Gosnell a second time, so she gave the patient more anesthesia, but only half the amount she'd given the other two times. Williams said when she did relent and consult the doctor again, he told her to give Mongar more anesthesia. After the fourth dose of anesthesia, Williams said Mongar's skin turned gray in color and her breathing slowed. She said Gosnell continued to perform the abortion, and once the procedure was over, he started CPR on Mongar and told Williams to call 911. Mongar was taken to the Hospital of the University of Pennsylvania where she died the next day. After an initial ruling of "accidental" death, once the medical examiner reviewed toxicology reports, he changed Mongar's cause of death to an overdose of Demerol. Williams said after Mongar's death, Gosnell reassured her that she had done nothing wrong. Video14 Teens Arrested in Center City "Flash Mob"
Like other former employees, Williams also gave graphic details of procedures and practices at the clinic, including an admission that she "cut the neck and cut the head" of a baby. She estimated that it was 26 to 27 weeks old. Abortions past the 24th week are illegal in Pennsylvania unless the mother's life is at risk. A baby is considered full-term at 37 weeks, according to the Mayo Clinic. Williams said she witnessed Gosnell snip the necks of over 30 babies and that he sometimes gave her just the feet of a fetus, to place in formaldehyde. Defense attorney Jack McMahon argued that Williams was qualified to administer IVs to patients and that of the hundreds of people treated by Gosnell and Williams, Mongar was the only patient to die. McMahon also established a timeline for the medication that Mongar received and concluded that only 100 mg of Demerol was given in a span of a just under six hours. His cross-examination continues tomorrow. If convicted of the first-degree murder charges of the seven babies, Gosnell would face the death penalty.